Remember last year when Apple refused to turn over a special version of iOS to the FBI (dubbed Govt. OS)? This special software would have allowed the G-Men to open the Apple iPhone 5c that belonged to San Bernardino shooter Syed Farook. Apple refused to hand over Govt. OS because it was worried that if it somehow was stolen from the FBI, the software would make every iPhone owner vulnerable to having the personal information inside their iPhone stolen by a hacker. 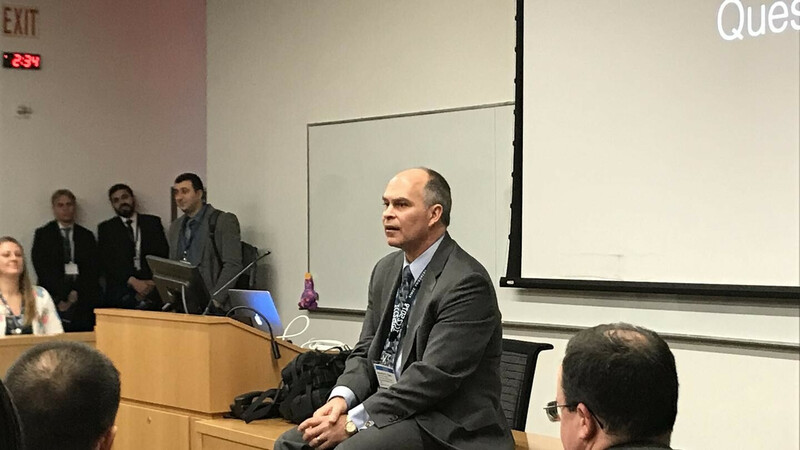 Speaking yesterday in Manhattan at the International Conference on Cyber Security, FBI forensic expert Stephen Flatley called Apple "jerks" for making the iPhone harder to break into. "Apple is pretty good at evil genius stuff," the FBI expert said. By limiting the number of passwords that can be entered at one time from 45 passwords a second to one every 18 seconds, Apple is fighting back against the so-called "brute force" method of cracking a password. This method attempts to enter as many different combinations of a possible password at one time. By lowering the number of attempts per minute, Apple is making it harder to use "brute force" to discover a password. Flately says that by changing the hash iterations from 10,000 to 10,000,000, the time it takes to crack the password on an iPhone using "brute force" has gone from two days to two months. The forensic expert praised Israeli company Cellebrite, which reportedly was paid by the FBI last year to open Farook's iPhone 5c. Flately practically called Cellebrite the anti-Apple, pointing out how the company sells hacking devices to law-enforcement agencies around the world. Meanwhile, it would appear that only law enforcement has an issue with Apple's encryption policy since it keeps consumers' personal information from being obtained and deciphered by hackers. Oh yes these BS stories to make people think it's impossible to get into an iPhone without Apples help. Please give us a break. There is all kinds of tools and things to get into someone's locked iPhone. Feed the bull to make it look like it's a really secure smartphone. "FBI agent calls Apple 'jerks' when it comes to unlocking phones" -Alan F. (PA) "FBI forensic expert Stephen Flatley called Apple 'jerks' for making the iPhone harder to break into." -Alan F. (PA) Stephen Flatley is both an agent and a forensic expert? Whatever you do folks. TRUST THE FBI. They have absolutely no history of any activities except the good of the American citizen. Nope. None. Take whatever medic they prescribe. It's for your good after all. Why would Apple give phone breaking software to a terrorist organisation? So much "anti-terror" shilling on this article, one would think we're on 4chan.